Skin is not only the largest organ in the body, but also the first one to face a lot of problems such as acne, blackheads, whiteheads, fine lines and wrinkles. 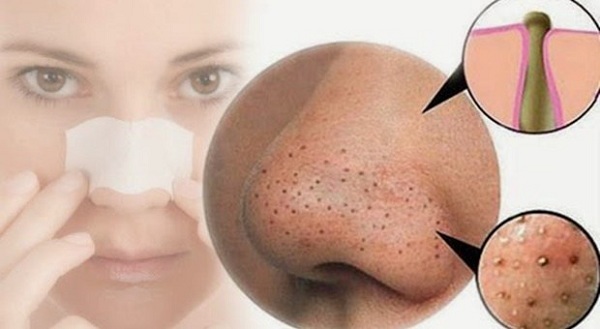 Blackheads are nothing but open pores clogged with a lot of dirt and oil and could become pimples if neglected. Regular salon visits will help a lot in removing them, but could cost a lot of money for frequent appointments. You could also research various reviews of skin care products to see which might suit your needs best. There are a lot of simple and quick remedies to deal with this recurring issue at the comfort of our homes. Exfoliating and moisturizing are the keys to keep skin clean free from blackheads and dead skin cells. Sugar, olive oil and lemon: One tablespoon of sugar, two tablespoons of olive oil and one teaspoon lemon makes a perfect scrub for removing both dead skin and blackheads. Brown sugar, honey and lemon juice: Combine equal amounts of brown sugar, honey and lemon juice to make a paste and apply on the affected area. Leave it for few minutes or until it is dry and scrub it off. Gram flour, milk cream and turmeric: Gram flour is a very good exfoliant, milk cream soothes skin and turmeric adds antibacterial properties to the scrub. Open clogged pores with steam or lukewarm water before using any of the scrubs for effective results. Scrub twice or thrice in a week without overdoing. It is always important to moisturize it post scrubbing for soft and supple skin while effectively dealing with blackheads. After scrubbing, wash face and neck with cold water to close opened pores. Tomato puree, milk and lemon juice: It is a good skin whitening and blackheads removal mask. Add equal amounts of all three ingredients and apply it on the complete face and neck for even skin complexion. Wash it off with lukewarm water after 15-20 minutes. Milk, lemon and turmeric: Make a thin paste of all three ingredients and apply it on skin. Leave it until dry and wash it off. Papaya and Banana: Mash ripe fruits and make a paste. Apply it on skin and leave it for 30 minutes before washing it off with lukewarm water. Baking soda: It is one of the easiest face mask to prepare with baking soda and water. Apply on the skin and wash it off after leaving it for 15-20 minutes. It works as a bleaching agent and is an effective blackheads removal mask in all seasons. Milk, honey and lemon: It is a great and soothing mask especially for removing blackheads. Egg white mask: Beat egg whites a little, apply then on the skin and leave it to dry. Drape a thin muslin cloth or tissue over it and apply another layer of egg white. Leave it for 15 minutes or until it is dry and peel it off. There a lot of other simple facial masks such as tea tree oil and green tea could be used as per convenience. Facial masks can be applied once every two days for effective results. It is essential to cleanse and moisturize after every application and do not use artificial soap at least for 5 or 6 hours. These are safe home remedies with no side effects and help flaunt clearer skin and smooth complexion.